Elizabeth Manners nee Sidney, Countess of Rutland. Elizabeth was the only surviving child of Sir Phillip Sidney, the poet, military hero and role model for Elizabethan men of letters. Sir Phillip Sidney died heroically fighting the Spanish in 1586 and his funeral, which was one of the major state events of Elizabethan England, gave him the status of a Protestant martyr. Elizabeth was also the grand-daughter of Sir Francis Walsingham, Queen Elizabeth’s master spy and intelligence chief, and step-daughter of Robert Devereux, 2nd Earl of Essex, the Queen’s fractious favourite executed after his revolt in 1601. Elizabeth Sidney married Roger Manners 5th Earl of Rutland in 1599, shortly before he left England to take part in Essex’s abortive campaign in Ireland. Roger also took part in the doomed fiasco of the Essex rebellion, and Elizabeth Manners was said to have been dismayed by the exile from court life which resulted from the punishment for Roger’s part in the revolt. Her feelings seem to have placed a strain on the marriage which was noticed by Ben Jonson, Shakespeare’s friend, colleague and rival playwright. Jonson wrote the first of three poems to her in 1600 The Epistle to the Countess of Rutland but he omitted the last verse about the imminent birth of a son to the couple from later editions of the poem after hearing that the Earl was in fact impotent. Queen Elizabeth died on 24th March 1603 and James VI of Scotland, the son of her executed cousin, Mary Queen of Scots, was proclaimed James I King of England, France, and Ireland. James crossed the border into England on the 6th April but because the plague had broken out in London he made a slow journey south. On the 10th of April James progressed to Roger and Elizabeth’s seat of Belvoir Castle where he was to stay for two weeks. The success of this royal visit marked the restoration of the Earl’s political fortunes after the debacle of the Essex revolt. He received a further mark of royal favour with his appointment as ambassador to Denmark where his job was to invest the Danish King Christian IV with the Order of the Garter and to convey gifts on the christening of his first son. This was an important diplomatic position because of the close links between the Danish and Scottish thrones, as in 1589 King James had married Christian’s sister, Anne of Denmark. Roger Manners seems to have enjoyed his visit to the Danish court at Elsinore. The accountant John Brewer who accompanied the Earl on the trip records what almost seems to be a royal progress of the Earl’s party, from Belvoir to Gravesend, by sea to Scarborough and then on to Copenhagen and Elsinore Castle, with lavish spending on food, entertainment, and munificent gifts to the poor at every place visited. 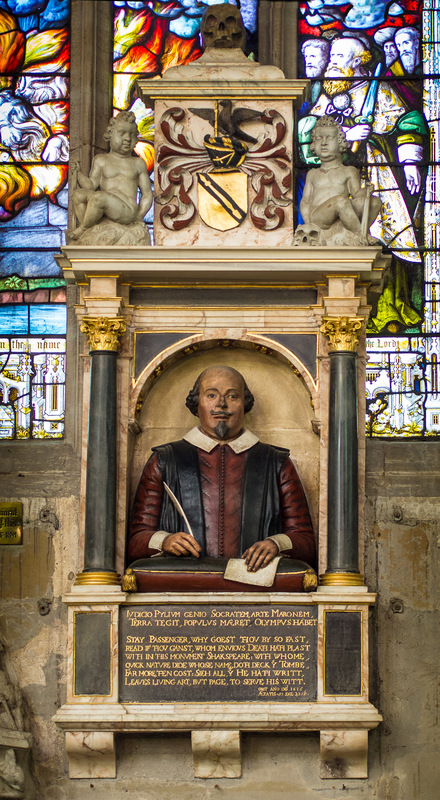 The fact that the text of Hamlet was altered to make the description of Elsinore Castle more accurate, in the 1605 edition of the play published shortly after the Rutland visit, has led a few scholars to claim that Roger Manners actually was Shakespeare! Indeed a Russian Ilya Gililov has recently argued that both Roger and Elizabeth Manners were the real authors of Shakespeare’s work, a claim which he bases upon his interpretation of the poem The Phoenix and The Turtle and its setting. (1). However this is very much a fringe opinion, rejected by mainstream of Shakespeare scholarship and it is not one that I personally support. Nonetheless what is certain is that the architect and designer Inigo Jones was a member of the party visiting Denmark. Elizabeth gathered a group of poets and admirers around her, which as well as Ben Jonson which included Francis Beaumont a playwright working for Shakespeare’s King’s Men theatre company and Sir Thomas Overbury, who was to be the victim of the most notorious of Jacobean murder conspiracies. Elizabeth’s artistic collaborations with Jonson culminated in her dancing in the Masque of Hymenaei, a spectacular court entertainment, written by Jonson and designed by Inigo Jones, that was staged in Whitehall in 1606 to celebrate the marriage of her step-brother Robert Devereux, 3rd Earl of Essex, to Frances Howard, daughter of Thomas Howard, Earl of Suffolk. This marriage was designed by Queen Elizabeth’s successor, James I and his minister, Robert Cecil, to be a way of reconciling the rival court factions divided by the Essex rebellion. However, the marriage was not a success and was to lead to divorce, scandal, and the Overbury murder. 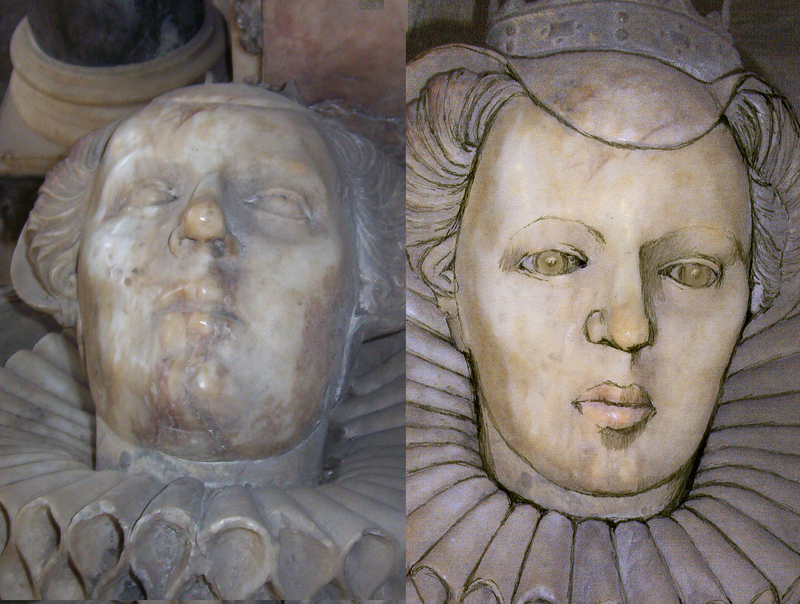 Elizabeth Manners died in August 1612 just two months after Roger Manners’ death in June 1612. 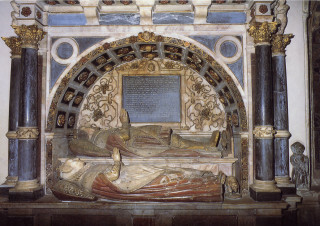 A contemporary, John Chamberlain, reported a rumour that she had been poisoned by Sir Walter Raleigh and her death was the subject of an extremely angry poem by Francis Beaumont, An Elegy on the Death of the Virtuous Lady Elizabeth Countess of Rutland, that refers to the Earl’s impotence and the poor state of her marriage. Indeed some commentators have suggested that her death may have been the result of a revenge attack after she had murdered Roger Manners, so that she could remarry and fulfil her destiny a producing a son in succession to her poet father. According to Chamberlain, after Roger’s death she was planning to marry a member of the rival Howard court faction with what may have seemed to Roger’s family and friends, indecent haste. Ben Jonson said of her that she was as talented a poet as her father had been. However, none of her poems are known up to now, but I do belive that that I have discovered one of her verses. She was buried in Old St Paul’s Cathedral near her father and grandfather. Her grave was destroyed in Great Fire of London in 1666 when the cathedral was burnt down, so that her effigy in St Mary’s Bottesford remains as her only monument. Gililov, Ilya. The Shakespeare Game: The Mystery of the Great Phoenix. Translated by Gennady Bashkov et al., Agathon Press, 2003. An English translation of Gililov’s book on Rutland. Sykes, Claud W. Alias William Shakespeare?. London: F. Aldor, 1947. Has Sherlock Holmes investigate the Shakespeare authorship question, and conclude that Rutland was the real author. This page was added on 20/12/2006. The bibliography supporting the 5th Earl of Rutland as being the real Shakespeare should include “Lord Rutland est Shakespeare”, 1912 and “L’auteur d’Hamlet et son Monde”, 1914, by Celestin Demblon, a Belgian historian who produced the first scholarly attribution of Shakespeare’s works to Roger Manners. There were earlier mentions of Rutland as Shakespeare, the earliest by Ziegler (according to Gililov’s chronology and spelling), a New York lawyer, in 1898.
. Which proues more [S]hort then wast or ruining?
. Pitt[I]full thriuors in their gazing spent.
. But mutuall render onely me for thee.
. When most impeacht,stands least in thy controule.
. And [I]n his thoughts of loue doth share a part.
. And I am still with them,and they with thee.
. Awakes my heart,to hearts and eyes delight.